Hogue Extreme G-10 grips are made from high strength G-10 composite. The materials used in the production of the Extreme Series G-10 Grip make for a first class product that is both strong and durable. 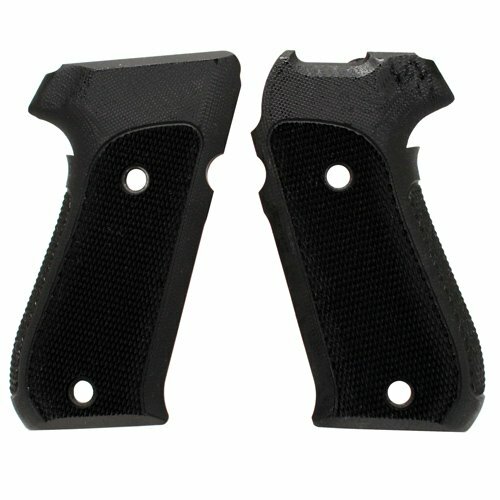 The Extreme Series Grips are unique in that they are very thin; the lower profile presents the shooter with a comfortable and controllable grip. Extreme grips combine fit, form and function into a single product for the shooter looking for the ultimate shooting experience. Specifications: - Fits: Sig Sauer P220 American - Style: Checkered G-10 - Color: Solid Black.